Chevrolet introduced the 2016 Corvette Z06 C7.R Edition - a road-going, track-capable homage to the Corvette Racing C7.R racecars. It's offered in Corvette Racing's signature yellow livery - or black - with coordinated exterior and interior accents. examples of the C7.R Edition will be built and all will include the Z07 Performance Package with carbon ceramic brakes, as well as a specially serialized vehicle identification number. They go on sale later this year. 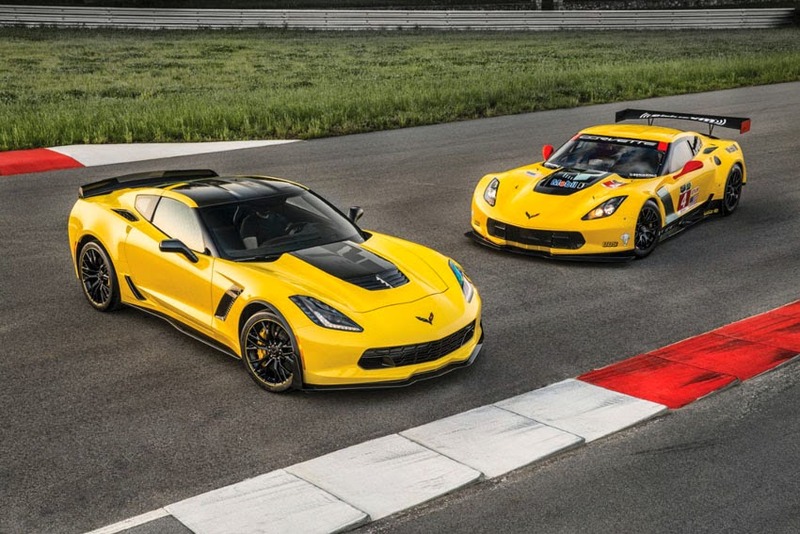 "Corvette Racing's legacy and technology were significant influences on the development of the Corvette Z06 and the new C7.R Edition honors the direct link between the racecar and the production model," said Harlan Charles, Corvette Product and Marketing Manager. "It also advances Chevrolet's plan to offer special-edition models that offer a unique, personal ownership experiences, which become important parts of Corvette's legacy." The Z07 Performance Package includes Brembo carbon ceramic-matrix brake rotors that improve braking performance and contribute to greater handling through reduced un-sprung weight. The Z07 package also includes adjustable front and rear aero components for unprecedented aerodynamic downforce and Michelin Pilot Super Sport Cup 2 tires for enhanced grip. "The Z07 Performance Package enhances overall performance to make the Corvette Z06 one of the most track-capable cars you can buy off the dealership floor and still drive it to work every day," said Charles. "Combined with the 650-horsepower supercharged LT4 engine, true aerodynamic downforce and performance technologies such as Magnetic Ride Control, Performance Traction Management and an electronic limited slip differential, the Corvette Z06 C7.R Edition offers capability matched only by an elite fraternity of the world's supercars and special-edition exclusivity that is sure to make it an instant collector's item."